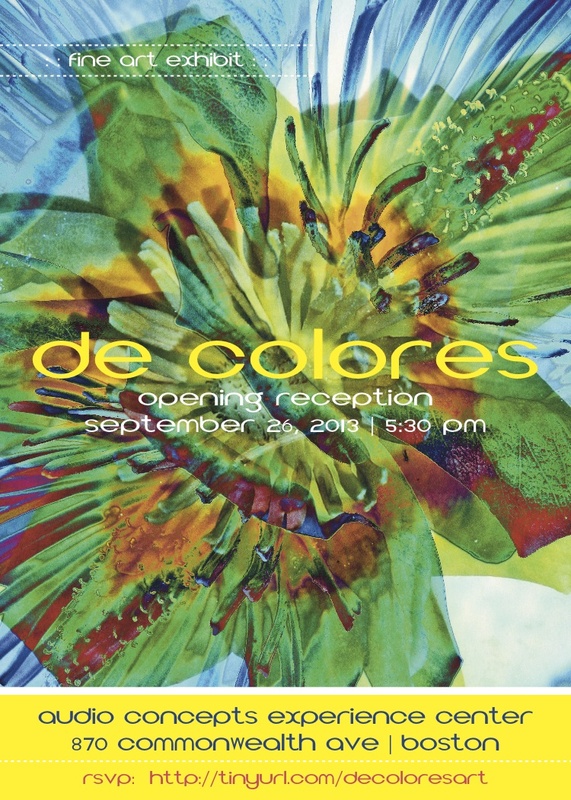 The Experience Center of Audio Concepts, located at 870 Commonwealth Avenue has announced its third exhibition, “De Colores” which features the work of seven Boston area artists and eight international artists (five of which are Italian). The two-hour opening reception will be held Thursday September 26th beginning at 5:30PM. While Audio Concepts has featured local artists in the past, this exhibit marks the showroom’s first international exhibition. Wine and canapes will be served. Entrance is free but RSVP is required.